A California jury awarded $289 million to a former school groundskeeper who claimed RoundUp, the worldwide best-selling herbicide and an important tool in large-scale agriculture production, gave him cancer in a verdict that will have broad impact. The size of the award demonstrates the stakes in a scientific battle over glyphosate, the key ingredient in the weed killer RoundUp. However, it is also likely to renew scrutiny on an international cancer research group that has come under fire from the House Committee on Space, Science and Technology in what may be one of the most politically charged science battles outside of the global warming debate. Monsanto, the producer of RoundUp, has said it will appeal Friday’s verdict, according to numerous media reports. Meanwhile, Bayer, the parent company of Monsanto, was trading down about ten percent on Monday’s market open as investors reacted to the news. Another class action lawsuit along the same lines is expected to open in a federal court later this year. While most people are familiar with RoundUp as a retail home and garden product, it is the most widely used herbicide worldwide because it helps large-scale agricultural producers increase crop yield. Monsanto holds the patents on numerous types of "RoundUp-ready" seeds genetically engineered to be resistant to glyphosate, meaning the herbicide can be applied to the entire crop to kill unwanted weeds while the intended crop thrives. Key to the success of the California lawsuit was work from the International Agency for Research on Cancer (IARC), and the testimony of Chris Portier, a scientist who formerly worked there. In 2015, the agency released a "hazard determination" which said glyphosate was "probably carcinogenic." Because it is a member of the World Health Organization, IARC has received both direct and indirect funding from U.S. taxpayer dollars, but the agency has been controversial in recent years with the glyphosate study leading the way. While IARC has reached the conclusion that glyphosate is "probably carcinogenic," nearly all other entities—including the Environmental Protection Agency—have determined it is safe. 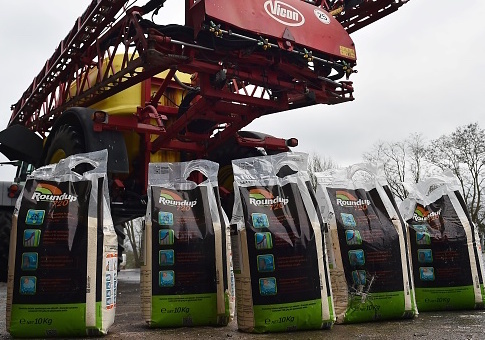 Overseas, the European Chemicals Agency along with a subset agency of the World Health Organization both reached the conclusion that glyphosate was safe. For one example of how the IARC hazard determination has led to different understandings and outcomes, consider that in February, a federal judge issued a preliminary injunction against the state of California for their attempt to require cancer-warning labels on RoundUp and related products. "The required warning for glyphosate does not appear to be factually accurate and uncontroversial because it conveys the message that glyphosate's carcinogenicity is an undisputed fact, when almost all other regulators have concluded that there is insufficient evidence that it causes cancer," Judge William Shubb said when ruling. Judge Shubb upheld the preliminary injunction again in June when challenged by the California attorney general's office. By saying IARC's finding was "uncontroversial," Shubb was referring specifically to the fact that other research nearly all other reputable entities like the European Chemicals Agency had come to different conclusions about glyphosate's carcinogenetic nature than IARC. When allowing the larger class action lawsuits to proceed, U.S District Judge Vince Chhabria said the evidence that glyphosate caused cancer was "rather weak," but also ruled that the testimony of experts the plaintiffs wanted to use was not "junk science." Defense attorneys in the recently concluded California case also questioned the appearance of Portier as an expert witness in the matter. While previously working as an invited specialist at IARC, he advised the glyphosate research, but says he didn't have a say in the final determination. Portier has accepted thousands of dollars in expert witness fees since leaving IARC, which some have claimed represents a conflict of interest, something Portier has at times acknowledged and denied. IARC came under heavy criticism during a February hearing of the House Science, Space, and Technology Committee, from committee members as well as a scientist from the EPA and a retired statistician from the U.S. National Cancer Institute and Biostatistics Director. Although representatives from IARC were invited to appear before the committee, none did. Most recently, the House Science Committee along with appropriators in the House have introduced legislation that would withhold funding for IARC unless the agency agrees to implement a series of reforms, most aimed at increasing transparency. The Washington Free Beacon has requested comment from IARC, and this story will be updated as soon as that comment is provided.